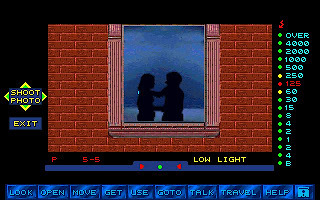 Martian Memorandum is the sequel to the popular Mean Streets. Means Street was released by Access in 1991. Access again pushed the limit of technology in Martian Memorandum by introducing smoother full motion video and digitize voice. 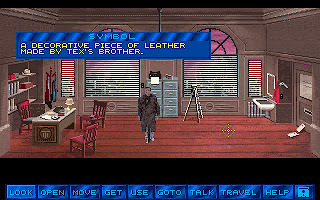 In Martian Memorandum, we again play as Tex Murphy, a private investigator. In the first scene, we will know that Text Murphy is in bad luck and really need some good case to get a paycheck. Soon, we will be contacted by a rich tycoon, Marshall Alexander, who tell us that his daughter has been kidnapped along with something else. As we are short of cash, we immediately accept the case and start the investigation. In Martian Memorandum, we no longer need to travel with our flying car. We move from place to place by simply selecting the location in our travel list. The Martian Memorandum interface has been improved a lot. 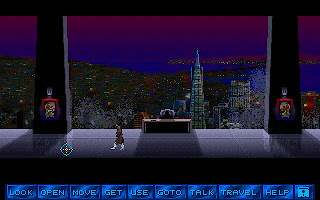 The complex navigation system has been simplified to point-and-click system like in Lucasart's games. Though, it is not as intuitive and sometimes slow in responce. 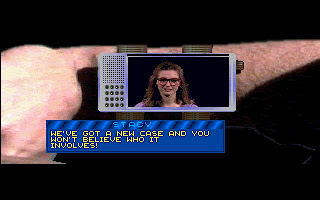 One thing I hate on Martian Memorandum is, we will get stuck if we pick the wrong dialog when interrogating people. We will also die in the game. So, we have to really save the game frequently and not to replace the old save games. 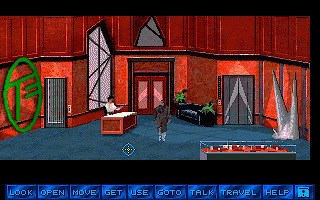 Martian Memorandum is as difficult as Mean Streets. But don't be mistaken, it is an attracting detective game with good graphics and digitized sound. If you like a good detective game, look no further. 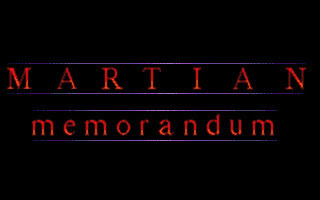 You can download Martian Memorandum here.